NEW!! The Bunny Collection: Vegan-Friendly Brushes! I am very excited to share the new synthetic brush line with you! 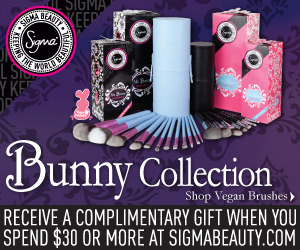 The Sigma Beauty Bunny Collection was designed to deliver perfect makeup application using all synthetic brushes. The collection utilizes our exclusive Sigmax HD fibers, which guarantee perfect makeup placement without product absorption into the bristles. The Bunny Collection features a full-size and travel-size kit. The full-size kit (pictured above) contains 12 brushes from our Essential Kit and the travel-size kit (pictured below) contains seven best-selling brushes from the Essential kit (E30 Pencil, E40 Tapered Blending, E55 Eye Shading, E65 Small Angle, F30 Large Powder, F40 Large angled Contour, and F60 Foundation). 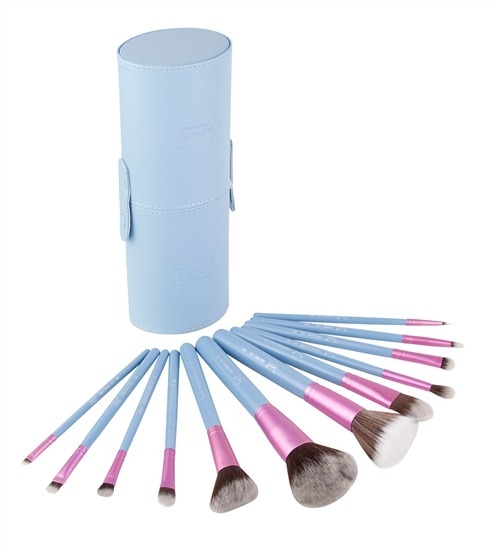 The brushes are available in classic black and a new light blue handle with a pink ferrule. 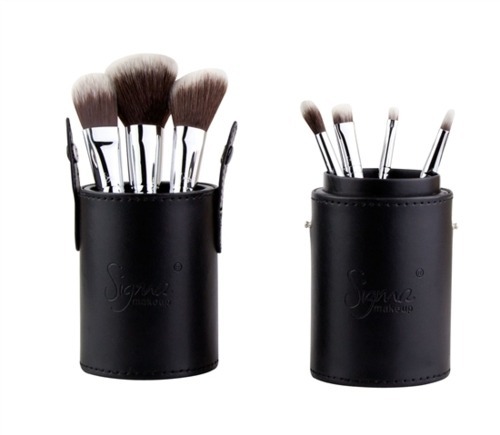 Both kits come in a functional container that turns into two brush holders to keep you stylish, organized and vegan-friendly! The Bunny Collection is perfect for vegans and those who prefer to use all synthetic brushes! Share this information with your followers and watch your sales increase! Both the travel size and sull size come in the Mr. Bunny Color (Black and the Mrs. Bunny Color (Baby Blue and Pink). For more information about the Bunny Collection, click here!